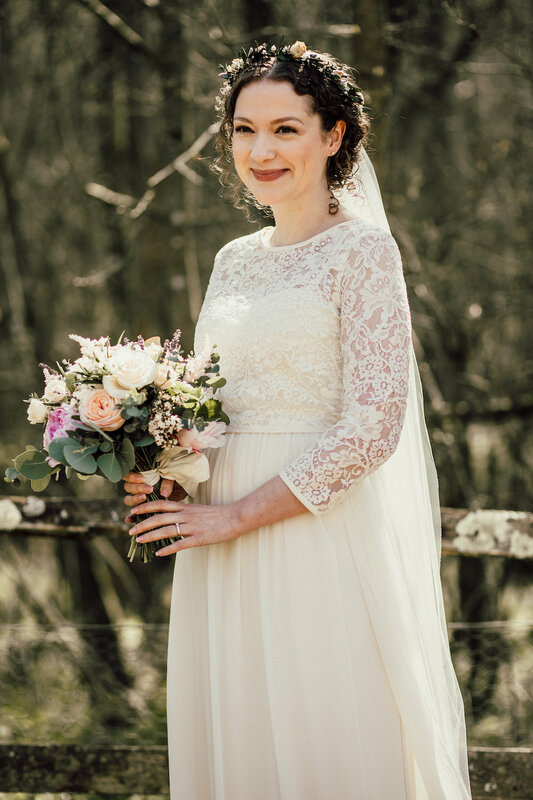 Emma married last spring, wearing a custom wedding dress I made for her… and her tiny little baby bump! She was barely 13 weeks pregnant when she first emailed me, 18 weeks when she married, and now, a year later, she has a sweetest little dumpling, which I am thrilled to get a glimpse of once in a while through the magic of Instagram. 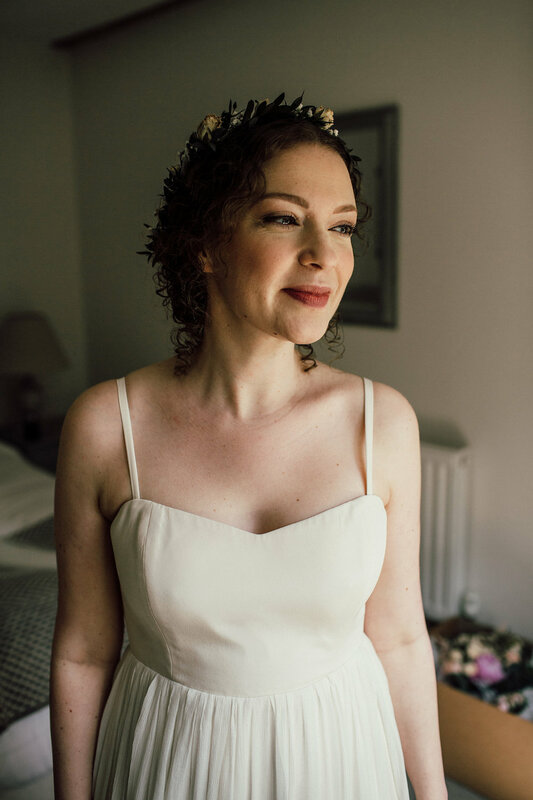 The soft bodice and the close fitting underskirt are a soft and thick silk Cadì, hand dyed a warm ivory. The top layer of the skirt is a crepe chiffon, in a white hue. Her blouse is the Lupin, with 3/4 sleeves, in ivory floral lace. 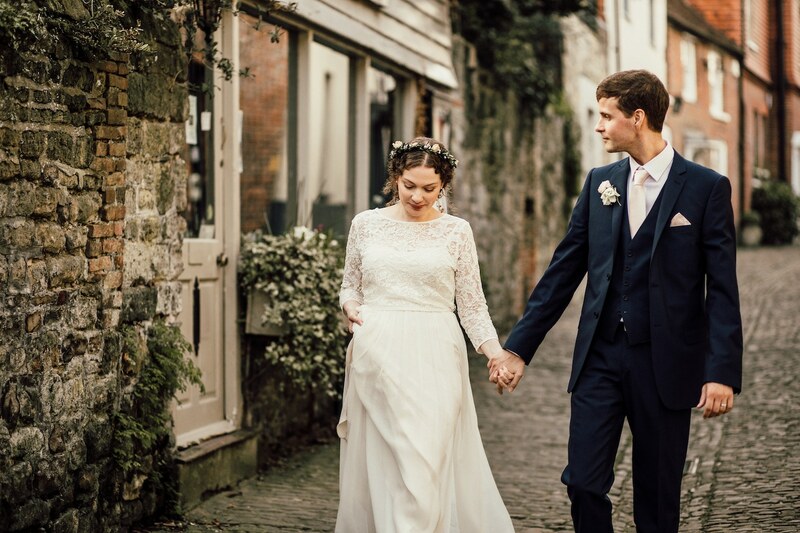 The location of this easygoing rustic town wedding is Surrey, UK. I love her soft curls and dainty flower crown! 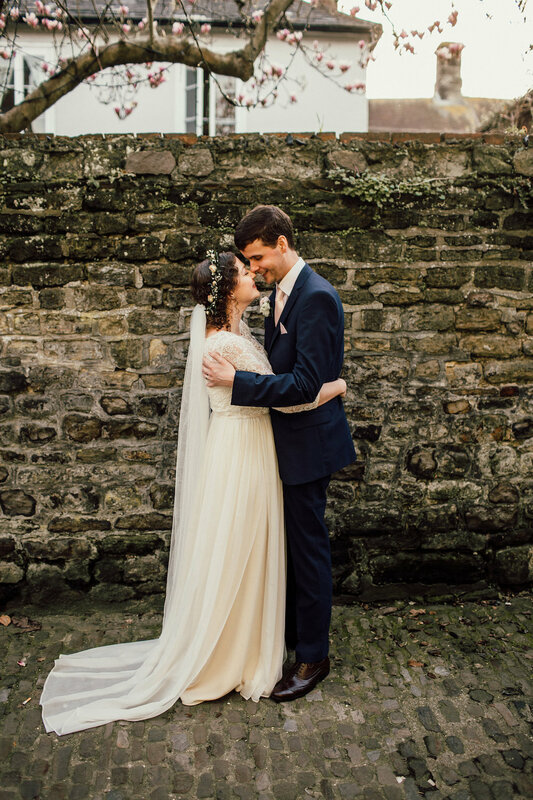 Thank you so, so much for making me the most beautiful wedding dress. 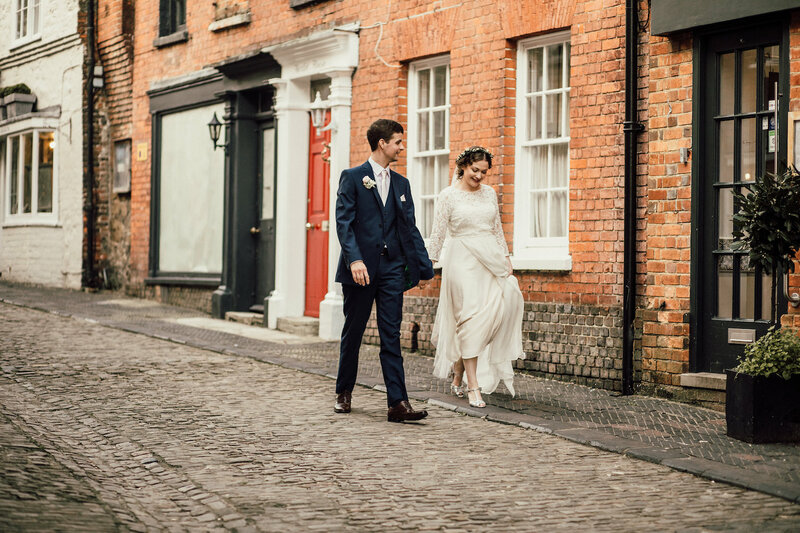 I felt so comfortable in it and really couldn’t have chosen a better dress – it was exactly what I had in mind. Here’s some photos! Thank you again!